Been a while since I lasted posted, but I have been super busy! 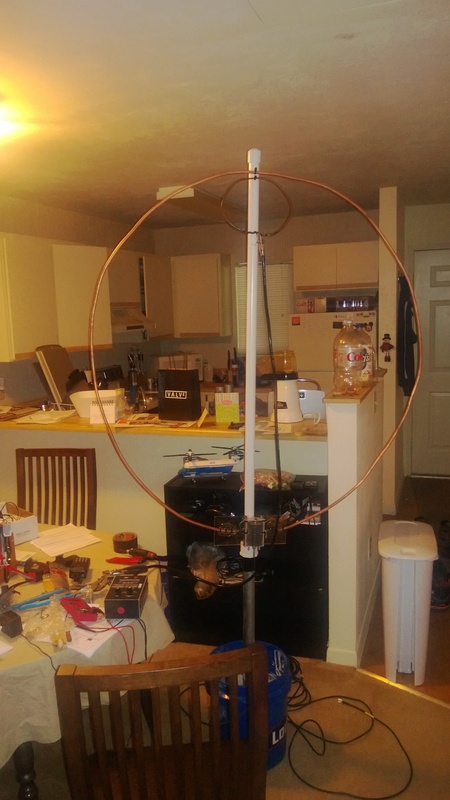 My latest project is a magnetic loop antenna. This past fall I got my amateur radio license. My callsign is KK4LWR and I am an Amateur Extra Class operator. I run an Icom 706MKII. Anyways, back to the loop. I live in an apartment and space is limited. To counter this I have been looking at magnetic loop antennas (magloop). 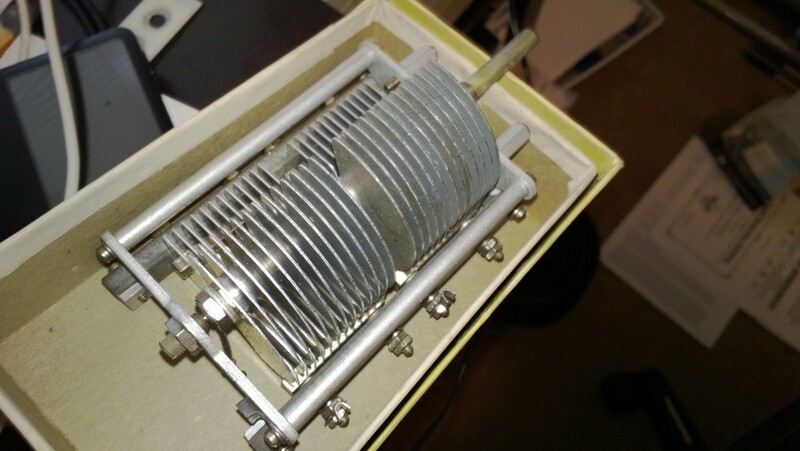 A Magloop is an electrically small loop antenna. The loop is feed by a smaller loop connected to the coax and the large loop has a capacitor to tune it for various frequencies. I found an air variable cap on ebay for $18 and it has a range between 15 and 260 pF. 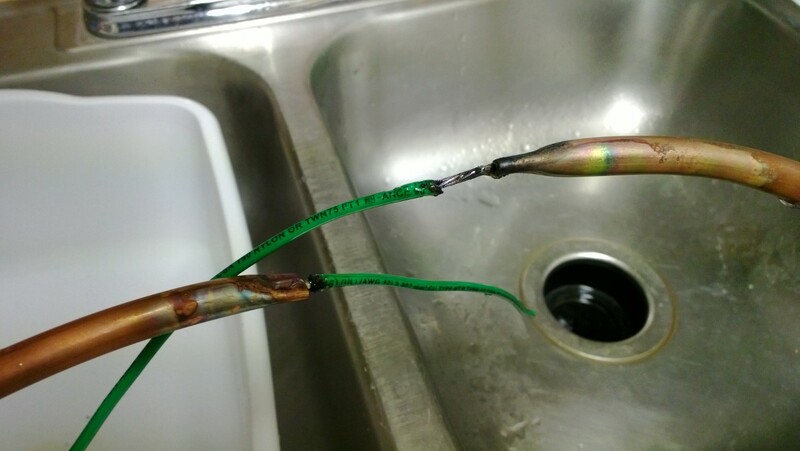 Once I got the cap I went to Lowes and picked up some copper tubing. 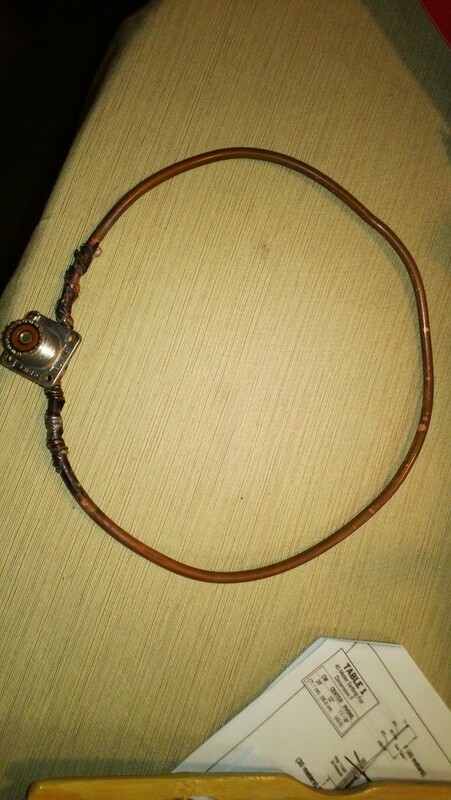 I bent it into a circle and then soldered and crimped some wires on the end to attach to cap. I had some scrap material that I used to mount the loop and cap to. Using zip ties I was able to mount the loop and cap. 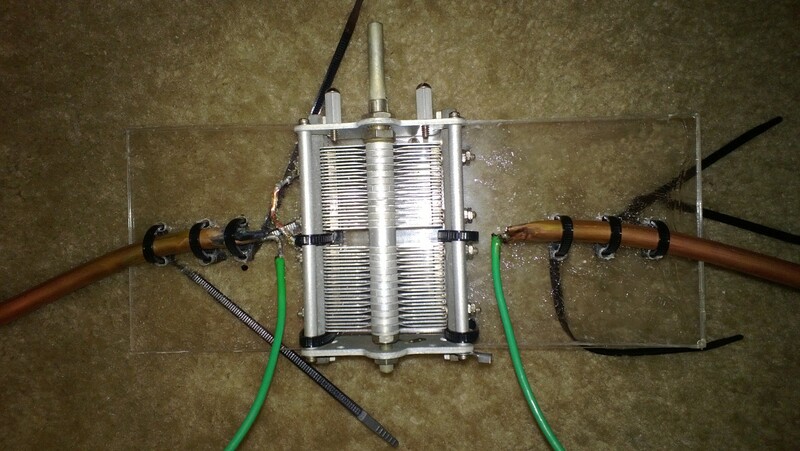 For the coupling loop, I used some 8 gauge wire my grandfather game me and connected it to an SO239 connector as seen below. Once all the parts were constructed, I attached it to a PVC pipe and placed it in a mount. The mount is a steel pipe in cement. I am planning to use this on my Cushcraft R7 that I am working on getting up and running again. As you can see below, the loop is quite small and I am able to tune it to a SWR of 1.1:1 or better on 20, 30, and 40 meters. I plan to take it out for field day this weekend. Only thing left to do is add some gearing to the cap so it is easier to tune. Right now it is very hard to get it right on a signal. I will post more as I get it on the air.